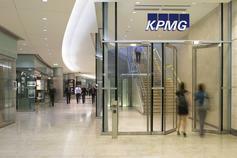 KPMG is a leader in delivering Audit, Tax, and Advisory services. KPMG in Bermuda is a professional services firm with over 200 people delivering Audit, Tax, and Advisory services across five industry lines: Insurance, Asset Management, Banking, Government and Public Sector, and to Bermuda’s Middle Market through KPMG Enterprise. We are a member firm of KPMG International, whose member firms are located in 153 countries and territories, and together have approximately 207,000 employees worldwide. We combine a multi-disciplinary approach with deep practical industry knowledge to help our clients meet challenges and respond to opportunities. Using KPMG’s local and global reach, and the skills and talents of our people, our team can provide industry specific services that can add real value to you. 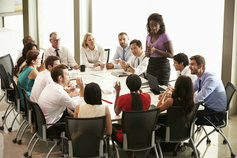 We provide assurance to decision-makers and stakeholders through responsible opinions as independent auditors. Our approach to Audit and Assurance is designed to fit and evolve with our clients; it’s efficient in delivering a quality, robust audit with helpful challenge, forward thinking and regular insights. Our Tax team has extensive experience providing tax advisory and compliance solutions to the Bermuda and global financial services industry. We help organisations and individuals to reduce their tax burden while meeting the highest standards of compliance. Our Advisory department supports businesses throughout their lifecycle as they restructure and expand, whether organically or by acquisition. Increasingly, businesses are under pressure to satisfy demanding stakeholders and actively manage their risk profile, while turning investments into recognisable returns. Underpinning our approach is shared commitment to KPMG’s core values which define our distinct culture. We attract people who are intellectually curious, demonstrate professional diligence and integrity, and who empathise with their colleagues, clients, and fellow citizens. 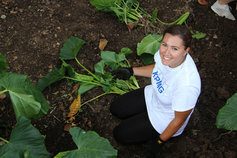 KPMG in Bermuda is also committed to the community in which we work and live. We are responsible corporate citizens, committing time, resources, and financial support to local service organisations and charities, with a focus on youth development, education, health, and the environment. Visit our Corporate Citizenship page for more information on how we can assist.